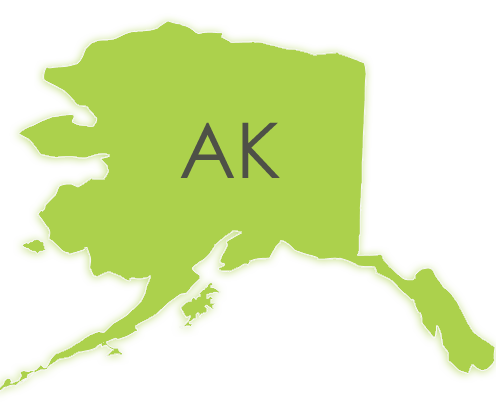 Ready To Book Your Alaska Court Reporter? We’re Available Today! Discovery Litigation Services has your last minute real time court reporter in Alaska. From Juneau and Anchorage, down to Kodiak and across the Yukon Delta. There is no deposition that is too remote to depose. We use the latest technology to provide you with the certified Alaska Court Reporters you need to get the job done right. Our real time ready Alaska court reporters provide instant access to transcripts as the deposition unfolds. Through a live feed directly translating the court reporter’s shorthand into readable English, you get an on-demand rough transcript as it happens over 90% accuracy. Why is this significant? First, you get a copy of the rough transcript as it’s written. Second, a highly accurate first pass at a court transcript radically shrinks the time it takes for you to receive your final transcript. No more waiting weeks for the translation. With a Discovery Litigation Services’ real time ready Alaska court reporter, expedited transcripts are the new normal. Have You Been Settling For Less? With Discovery Litigation Services you get a team that is devoted to your success. We understand the importance of getting it done right the first time. Not only do we work hard to ensure everything's running smoothly, but it is our mission to make it easy for you. We are here for you, and we are focused on providing clear, transparent communication at the level you require. It doesn’t serve your best interest if your needs aren’t being met and your requests are getting lost in the shuffle or ignored. However, it is also counterproductive to fill your inbox and message machine with excessive communications that distract you from the case at hand. Discovery Litigation Services works with you to ensure you are being taken care of at the highest level and in the manner that best suits the needs of your case and the style that best suits your workflow. The Discovery Litigation Services web platform will slash the amount of time it takes to sift and sort through hours of deposition footage. With Video to Text Synchronization coming standard for every client, you’ll quickly learn how easy it is to isolate those high value moments without spending half of your day looking for it. With our Free video to text synchronization we take a once stale, static, transcript and make it interactive. Scrubbing through video footage is a linear process. There’s no way around that fact. You have to go either forward or backward, and no matter how fast you’re speeding through the footage, you’re forced into that linear world. Text on a page or a screen, however, is not. You can quickly pull out and take in the whole picture at once. You can quickly jump from one line to another, and skim over hundreds of words in a matter of seconds to isolate a key phrase. Discovery’s Video To Text Synchronization applies that power to video depositions by making the transcript completely clickable. All you have to do is isolate your desired quote and click, you’ll then be shuttled directly to the video containing that quote and exactly to the moment the line is uttered. No more scrubbing through. No more wasted time. Just skim, point, and click. Best of all, we’re not withholding this as an upsell. This is standard. It’s free.